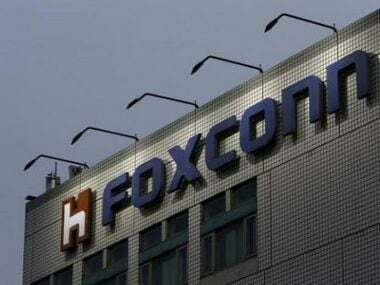 Foxconn Technology Group is likely to sign a deal with the Maharashtra government soon to create a manufacturing hub in the state, according to a media report. Executives of the Taiwanese contract manufacturer, which rose to global prominence as the main assembler of Apple Inc's iPhone, reportedly met Maharashtra chief minister Devendra Fadnavis and informed his office that the company will set up its plants in the special economic zone (SEZ) of the Jawaharlal Nehru Port Trust (JNPT), The Economic Times reported. Following the meeting, the Maharashtra chief minister has reportedly written to union minister for road transport and highways Nitin Gadkari, asking him to allot 200 acres to Foxconn. The Taiwanese company has already bid for 45 acres of land at the JNPT SEZ. Foxconn aims to invest $5 billion in the manufacturing hub, and create around 50,000 jobs by 2020. Firstpost, in November 2017, reported that communication between Foxconn and the state government had stalled, and one of the reasons behind that could have been the unhealthy relations between India and China back then. In July 2017, the Hindustan Times reported that the Maharashtra government was considering handing over tribal land in Palghar to Foxconn. “The MIDC is hoping to get at least 500 hectares. We can offer this land to Foxconn instead of land at Talegaon or Khopoli as we originally promised. The company will also be more interested in this location due to its proximity to Mumbai,” a senior state official was quoted as saying by the newspaper. In 2016, it was reported that Foxconn, or Hon Hai Precision Industry Co. Ltd., Taipei, was having second thoughts about the mega project. An "absence" of customers had reportedly forced Foxconn to rethink its investment in the state.